Dedicated to serving the needs of each client for over 20 years.  Are you looking for strong and compassionate legal representation for a divorce or family law case in Upland, California? Look no further than the Law Offices of Heidi Romeo & Associates. Heidi H. Romeo, the Martindale-Hubbell® AV Rated® family law attorney with more than 20 years of practice in the legal industry, has both the knowledge and real-world experience to ensure you have the information and confidence you need to move forward. Take advantage of our free case evaluation! Contact the firm online or call (888) 880-8803 to schedule your appointment. At the Law Offices of Heidi Romeo & Associates, your needs are always the priority. Your lawyer can work with you to help you identify what those needs are and how they can best be realized so that, together, you can find the right path to take in order to resolve your divorce or family law case and move on with your life. Because the issues involved in most family law and divorce cases are of a highly personal and sensitive nature, you need an attorney you feel comfortable with and can trust with issues that profoundly affect your life and your loved ones. The attorney at the Law Offices of Heidi Romeo & Associates understands this need and strives to make you feel as relaxed and confident as possible throughout the case process. By keeping the lines of communication open and listening to the needs of each client, Heidi Romeo has earned a solid reputation throughout California's Inland Empire as a trustworthy and effective family law attorney. 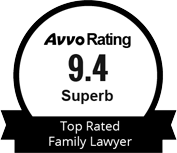 As a testament to the firm's compassion and competence, most clients of the Law Offices of Heidi Romeo & Associates arrive here by prior client referral, opposite party recommendation, or the endorsement of local psychologists and other family law attorneys. At the Law Offices of Heidi Romeo & Associates, our knowledgeable attorney understands that many family law cases involve clients who are facing intensely painful situations and who have been forced to enlist legal representation for the first time in their lives. The Upland divorce lawyer at The Law Offices of Heidi Romeo & Associates has the knowledge and ability to take whatever legal action is necessary to protect your best interests in the unique situation you face. With more than 20 years of experience, Heidi Romeo is equipped with the legal savvy and experience to help you achieve an agreeable resolution that benefits you and your family. The attorney at the Law Offices of Heidi Romeo & Associates is committed to making the legal process as smooth and cost-effective as possible for clients, always working to ensure that the client experiences the least amount of emotional and financial strain possible. They discuss whether the issue can be settled independently from the court or if litigation is required, depending on the client's individual needs. Heidi Romeo is committed to protecting her clients from the costly and stressful litigation process whenever she can, but is prepared to renew the fight for her client's best interests by pursuing legal action whenever necessary. In the event that she must litigate for a client, she will work to ascertain what extent of litigation is expected and ensure that her client is properly prepared. 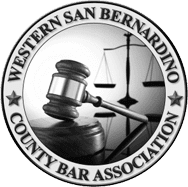 The attorney at the Law Offices of Heidi Romeo & Associates specializes in divorce and family law and has built a reputation for aggressive courtroom advocacy and stellar client support throughout the Upland area. Ms. Heidi Romeo is intimately familiar with the complexities of the legal system and has a track record of success representing men and women from all walks of life who are facing unprecedented family law challenges. The Law Offices of Heidi Romeo & Associates stands apart from other firms for its unique emphasis on client-attorney interaction. From the very beginning of the legal process, each new client works closely with the firm's knowledgeable family lawyer to ascertain the best possible strategy required to address the situation. Early on in every case, Ms. Romeo works closely with the client to chart an appropriate course of action to achieve specific goals. If you are facing a divorce or legal issue involving family law, don't wait. Contact Upland's divorce attorney at the Law Offices of Heidi Romeo & Associates for a free consultation and to discover how she can help you protect you and your loved ones.